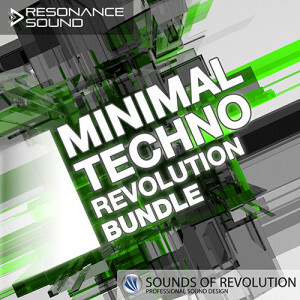 Welcome to the mighty SOR Minimal Techno Revolution Bundle – your chance to get over 6000 highly creative and inspiring samples suitable for Minimal, Techno, Deep & Tech House for a no-brainer discount. Following the multi-magazine-awarded predecessors, SOR Minimal Techno Revolution Vol.5 is again full of fresh techno samples like clicks and glitches, weird loops, awesome percussions, dirty chords, lots of drum loops with/without kick, ground shaking never heard effects, haunting atmospheres, organic analogue loops, mangled Vocals, noisy elements and just so much more, making your next techno production session even more exciting! SOR Minimal Techno Revolution Vol.5 covers also loads of organic sounds right next to all-time favorites such as true analog drums. All samples are carefully sorted into categories for easy access and grabbing what you need fast! This sample pack is a true gem for all producers who love to tinker with all-new and fresh sounds for minimal, techno, electronic, deep & dub house and so much more. Oliver Schmitt’s sound sets are a must have library for any dance producer. The variation in patches is superb and the pads are stunning’ most of all they are usuable and not throw away sounds! – Excellent! If you then check the SOR samples inspiration will instantly hit you like an avalanche. Unique samples which give the inspiration a producer needs. Putting them in your tracks makes your production instantly sound profi”. We can recommend the SOR series for every starting and advanced. I think the whole SOR series are a grail of good stuff actually useful to find their way in real records. The amount of useful one shot samples that I got out of this series is massive. And I absolutely love the experimental section. This is of the best collection of kick-free loops I’ve heard in a long long time. […] I can’t think of anything better than MTR1 right now. The skills of Oliver Schmitt when it comes to drum loops are considerable and he truly masters the art of creating sparse and highly intelligent loops that both inspires and leaves room for your own drum sounds. Das musikalisch hervorragend einsetzbare Klangmaterial kann sich hören lassen: Druckvoll, futuristisch und vielseitig tönt es aus den Boxen. Klasse! As for the overall delivery and programming of the loops, and as I expected from a Sounds of Revolution product, this is a high quality sample pack worthy of praise.